Wirth Munroe designed the C-33 and it was first produced by Crystaliner who marketed it as an Arco 33. They reportedly made 15 (or 20) copies starting in 1959 and sold the molds to Columbia. Alan Chappell ALnchppll@aol.com lives aboard hull #1 and has cruised to the Florida Keys and Cuba. Columbia advertised the C-33 as a deep water cruiser designed by Wirth Munroe. They produced 61 copies between 1963 and 1965. A pair of Columbia 33s. 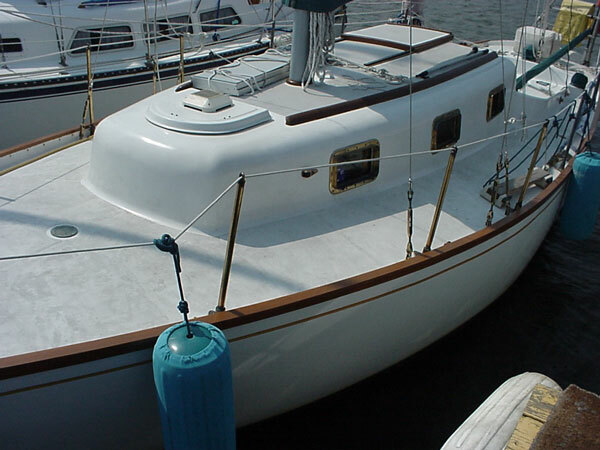 Here's that story -- (in 1965) according to a bill of sale a Mr. Richardson negotiated and bought a hull with lead keel installed from Glass Laminates, had the hull trucked and negotiated with Columbia for plans from which to make the cabin top. One set of plans sent by Columbia are signed by Bruce King, and appear to be the ones that Richardson used to complete the project. She has been documented with three names, Sea Itch (she has a terrible, ugly, back scratcher logo on her Spinnaker -- honest! ), and Holiday (under which she was raced on Erie by her second owner (I have two or three sheets of results listing her as semi-successful). LOA     33'-1"                  Ballast (lead)  4200 lbs. LWL     24'-0"                  Displacement    11000 lbs. Beam    9'-10"                  Sail Area         476 sq. ft. Draft   7'0" Board down         Head Room         6'5"
I have half dozen sheets of plans for the C33 showing construction detail and each sheet listing a different effective model (modifications apparently made after hull # 37, and again after hull #49). 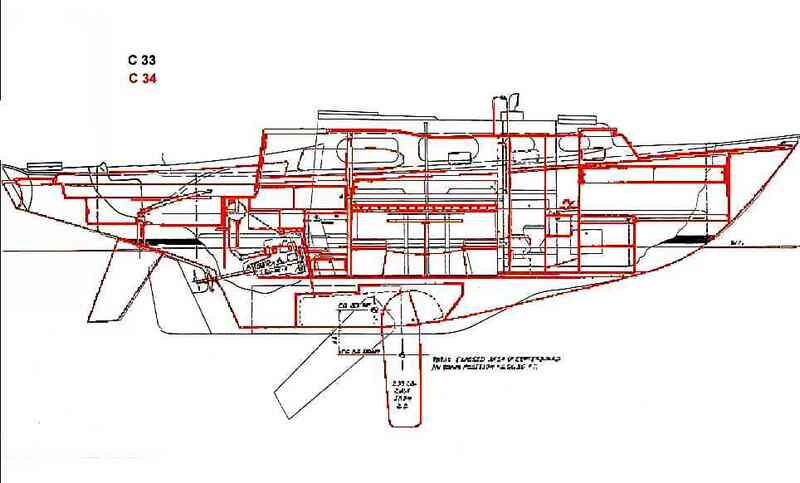 It also appears that there were a number of C33's sold as hull only (w or w/o lead keel attached). 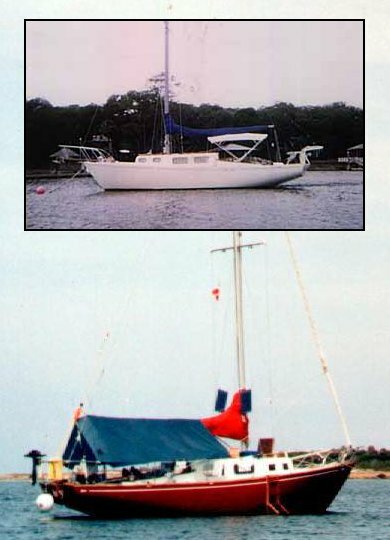 Fantail of course was one, but another appears to be "Vamoose", listed as a "Custom Columbia 33" which was winner of the first "HOOK" in 1984 (an offshore race of some 200 nautical miles from Sturgeon Bay Yacht Club to Racine Yacht Club). Fantail herself by the way was winner of a Sandusky, Ohio regatta in 1975 when she sailed as "Holiday" owned by Frank Cervallo.